Buying children’s clothing can either be a fabulous shopping trip or a frustrating one. As I have a boy and a girl I often find that I can find lots of things for Roo but Tigger generally gets the rough end of deal. 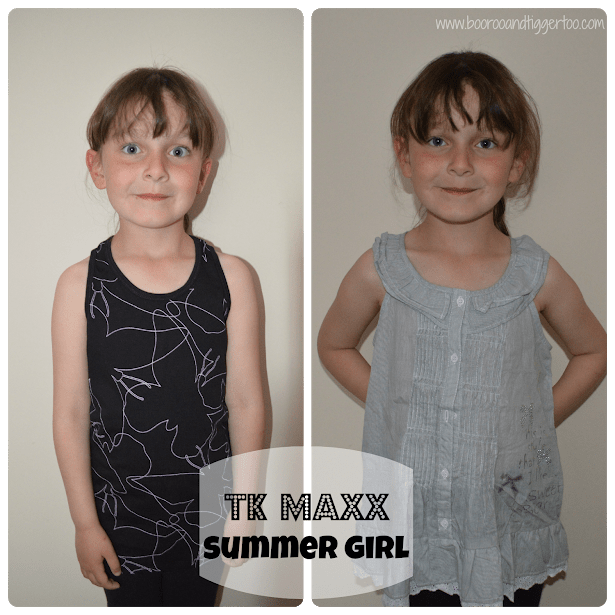 I was recently offered the chance to see what TK Maxx had to offer in the way of kid’s clothing. 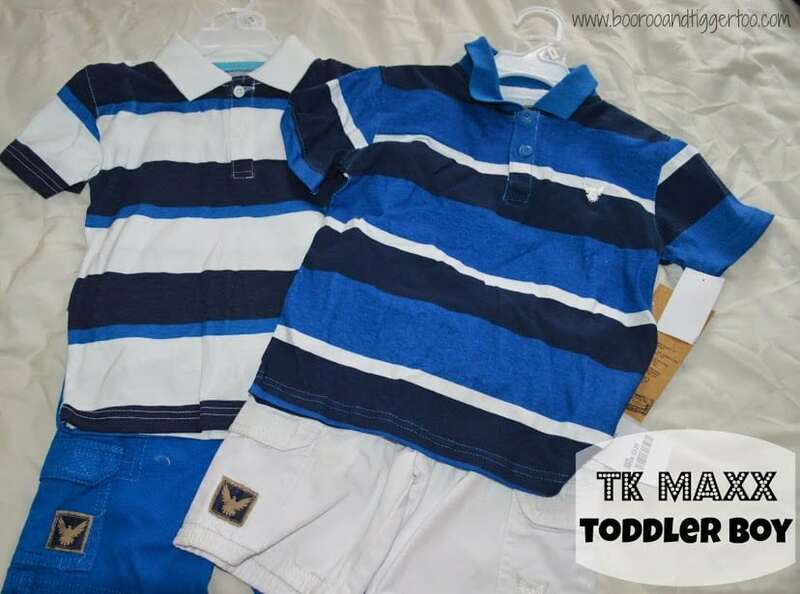 I have often been into TK Maxx to take advantage of their great selection and prices on gifts, bags and homewares but had never given much thought about looking for children’s clothing. After a quick look in my local store I was a little disappointed with the selection available but as I was heading into the city in the next day or so I wasn’t too disheartened. Luckily our local city has two TK Maxx stores so headed to the out of town one first as we needed to visit that estate for another store. Mr Boo was with me and I’m so pleased he was as I’m never really sure what to buy Tigger. He would probably end up with lots of character tops and jeans if it was left down to me. We decided that it would be better to look separately and see what we could find. Roo is at the funny age were she is just fitting age 5-6yrs clothing but not quite big enough for 7-8yrs so this made shopping for her a little difficult. One of the things I like about TK Maxx is the variety available, it can be a little hit and miss as to whether they have your chosen item in your size but that is part of the fun. 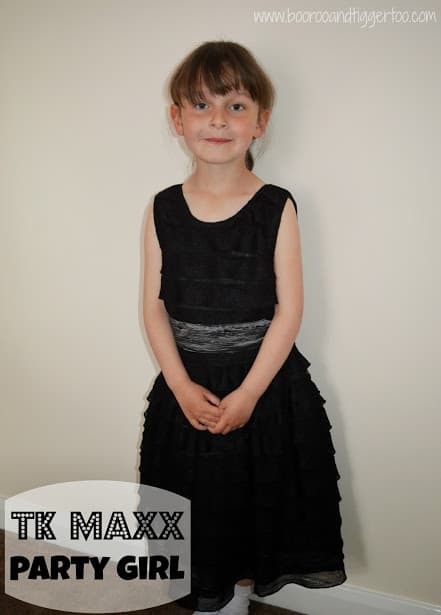 There wasn’t too much of a selection in Roo’s age range, however I did manage to find her two dresses, one of which will be great for parties leading up to Christmas etc. A happened to glance over at Mr Boo who had an arm full of things for Tigger. I could hardly believe that there was so much for him, I usually really struggle to find clothes from him. I think I need to make TK Maxx my one stop Tigger clothing shop. After managing to get Roo two dresses, Tigger a pair of jeans, three tops and a hoodie I had only spent around £65. With our bumper haul we decided to head off into the city and see if we could grab a few more bits in the mall store. The city store had a bigger selection of girls clothing and I managed to pick Roo up two summer vests for her to wear over the upcoming summer holidays. With just over £20 left to spend Mr Boo spotted two shorts and t-shirt outfits for Tigger. I wasn’t immediately sure about the white shorts but as Tigger has a touch of OCD I’m hoping that they won’t be covered in grass stains five minutes after putting them on. With our gift voucher all but spent, I still have a whole 11p left, I am now making sure that I take a look in the children’s clothing section every time I pop into TK Maxx. 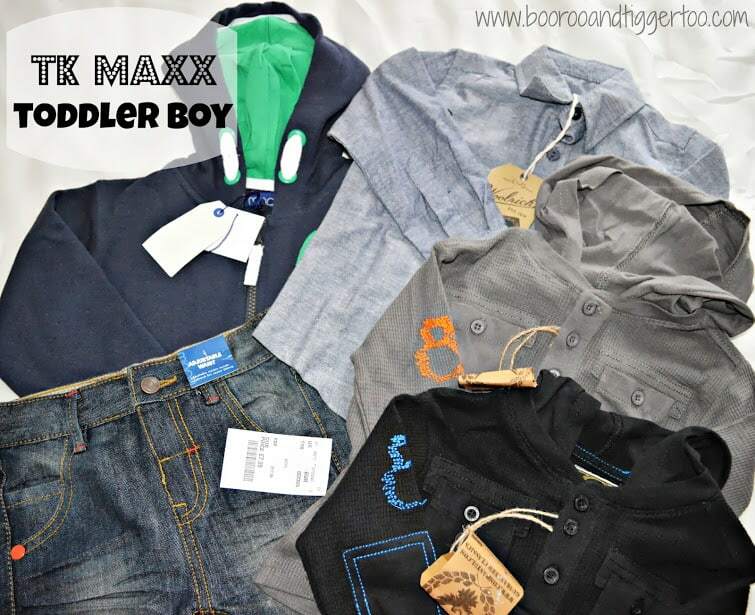 Disclosure Policy: I received a TK Maxx gift card FOC for the purpose of reviewing their kids’s clothing selection. I have since been back and bought more clothes for Roo and Tigger, if you ever can’t find me I’ll be in TK Maxx.